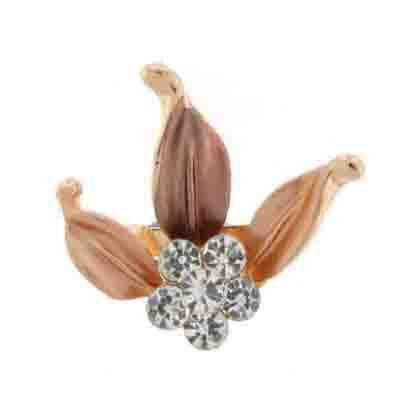 Petite amber and brown enamel triple leave lapel pin brooch accented with a cluster of clear crystals in the centre on a gold coloured frame and fastens with a push pin clasp. 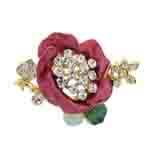 Size: 2.5 x 2.5 cms. 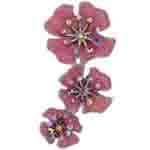 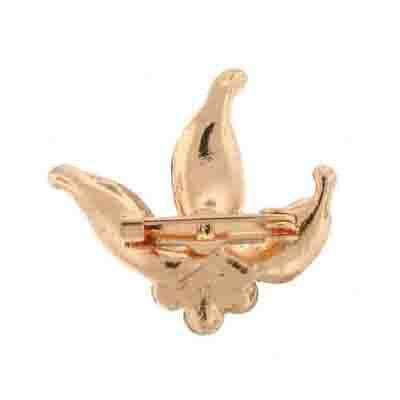 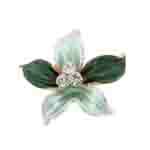 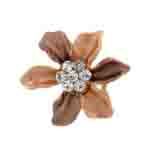 This petite but amazing brooch will catch everyone's attention with any of your everyday wear.